Thank you for considering the option of becoming a substitute within Urbandale Schools. The following overview has been developed in order to highlight key information and help answer questions. Whether you’re interested in becoming a substitute or have not yet found a contracted position, we encourage you to gain experience and networking opportunities by becoming a substitute at Urbandale Schools. All substitute teacher and substitute classified position applicants are subject to a criminal background check. Substitute teachers must have a valid State of Iowa teaching license or substitute authorization issued by the Iowa Board of Educational Examiners. We use Frontline Absence Management which gives substitutes 24/7 access, via phone and online, in order to accept substitute positions within our district. Click here to review available positions and complete an online application. 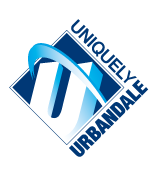 Urbandale Schools is an equal opportunity employer. We look forward to seeing you!